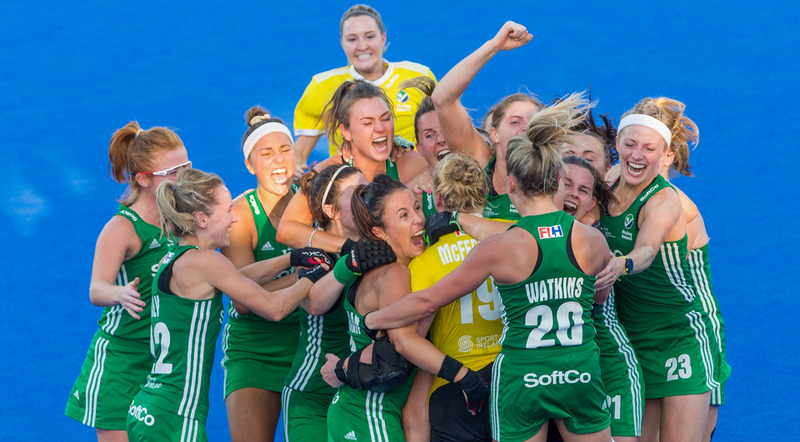 The summer of 2018 will forever belong to the Ireland women’s hockey team as they gripped the nation by propelling Irish sport to dizzying new heights. Before one cool, calm and collected stroke of Gillian Pinder’s stick booked a place in the decider, Ireland had never competed in a World Cup final in a team field sport. Pinder’s winning penalty sent the country into raptures and Ireland’s historic achievement was enough for them to see off some stiff competition and be crowed the Irish Independent Team of the Year. While Ireland’s remarkable journey didn’t quite have the fairytale ending as Graham Shaw’s side came unstuck against a genuinely world-class Dutch outfit in the final, no one can take anything away from what was a truly unforgettable tournament in London. Ranked 16th in the world, Ireland were the only amateur team who competed in this year’s World Cup and they well and truly ripped up the script to stun some of the best (and better resourced) teams around. From goalkeeper Ayeisha McFerran, who was outstanding, to the prolific goalscorer Anna O’Flanagan, every member of the squad played their part as Shaw managed to get the best out of a supremely talented group, who sacrificed so much along the way. After O’Flanagan’s goal against Spain in the semi-final was cancelled out, Ireland went on to hold their nerve in a dramatic shoot-out as McFerran made four crucial saves, before the nerveless Pinder stepped forward and finished with aplomb to create history. Returning home to a hero’s welcome with silver medals around their necks, Ireland proved that there will always be room for a plucky underdog story in the demanding world of professional sport.